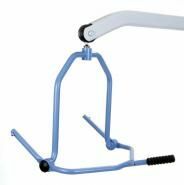 Oxford Comfort Specialised Patient Hoist Sling. The Oxford Comfort sling is a more specialised sling. It allows correct positioning to be made via the 4-point cradle and uses the Securi3 sling connection system and not the conventional spreader bar,ensuring no inadvertent detachment of the sling from the cradle. 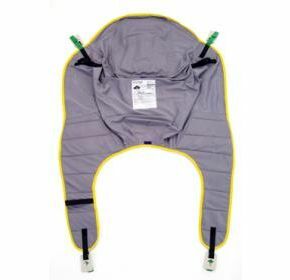 It incorporates a removable comfort pad for head support and fits snugly to give full protection for patients who go into extension or have involuntary movements or behavioural problems. The Comfort Sling is designed to position patients from either a seated or reclined position.